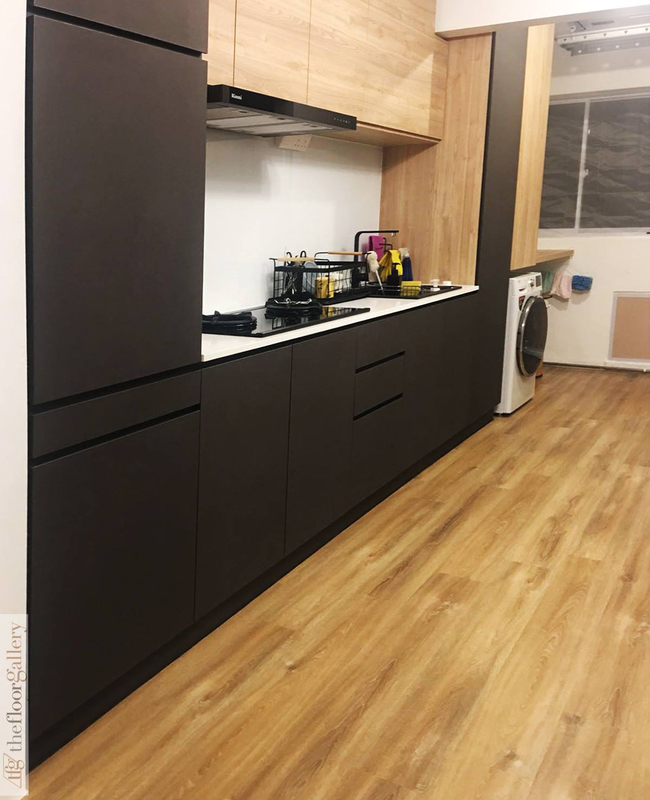 Kitchen Flooring Options in Singapore! The kitchen is one of the most important spaces in a home. With everyday meals being prepared and cooked in the kitchen, cleanliness and hygiene ought to be a key concern – alongside how delicious the food is, of course! This makes selecting a suitable kitchen flooring material that is easy to clean and maintain incredibly important. With the wide range of flooring options nowadays, kitchen flooring is no longer just limited to your standard floor tiles. 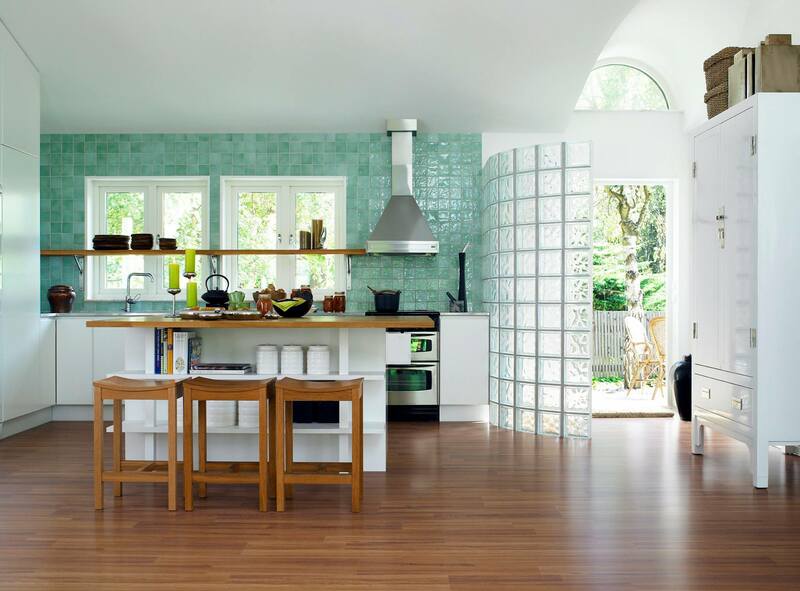 Here are three popular kitchen flooring options you can find in Singapore. Ceramic or stone tiles are a common kitchen flooring option. In fact, it usually comes installed with the original BTO, HDB, or condominium condition. There are tiles with rough texture that make it a great non-slip kitchen flooring choice. However, one disadvantage of ceramic or stone kitchen flooring tiles is that they are not the easiest to clean. This is especially so when it comes to the rugged details, such as stain in between the tiles line or grain texture. Do you have queries on kitchen flooring? Feel free to get in touch with our flooring team HERE. Click resilient flooring – also known as bespoke, high end and luxury – are great for both wet and dry kitchens. This is because of its highly waterproof flooring properties and easy click-lock overlay flooring installation. A bonus is that it has a variety of unique wood-like designs! 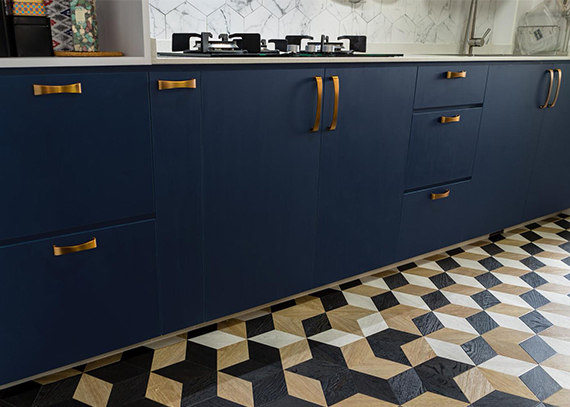 With this alternative overlay kitchen flooring option, home owners can go beyond conventional boring tiles, and customise their kitchen’s interior according to their home’s design theme. Offering one of the strongest click systems in the market, The Floor Gallery’s Eco Protect Resilient Flooring ensures one of the smoothest and most elegant kitchen flooring installations. 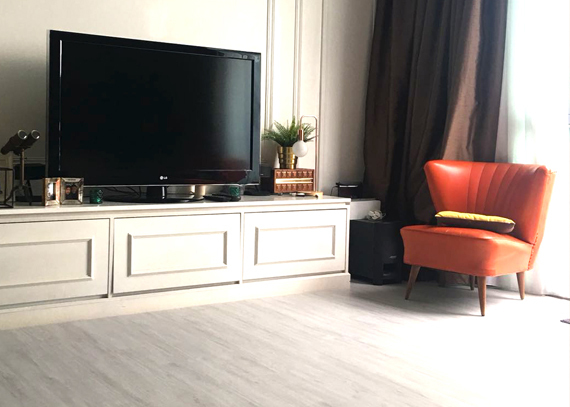 Vinyl flooring options, especially commercially graded ones, have higher resistance to water and heavy loads, making it extremely suitable as wet kitchen flooring as well as commercial kitchen flooring in Singapore. What’s more, its waterproof flooring qualities make cleaning the kitchen a breeze. 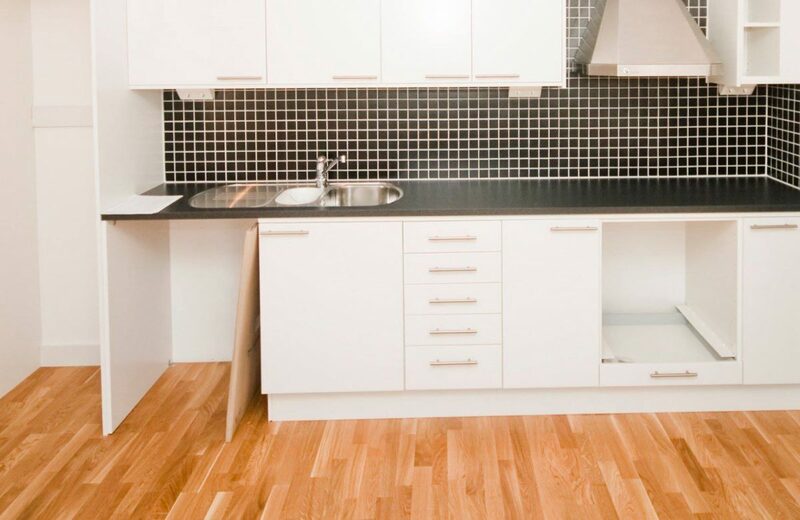 In comparison, laminate flooring or wood parquet flooring may not be good options for wet kitchen flooring. 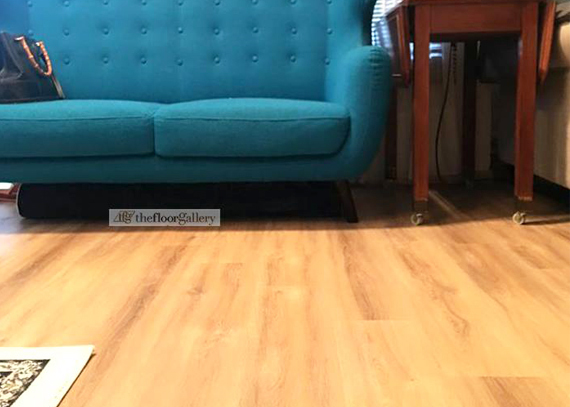 The waterproof and moisture-resistant properties of most laminate flooring materials are relatively lower than that of our recommended vinyl flooring options. However, if home owners do not cook much at home, laminate or wood parquet flooring can still be viable kitchen flooring options. Take your time in finding the best kitchen flooring option for your home. The master chefs in your life will thank you! Finding a suitable kitchen flooring for your home? Discuss your best options with our team HERE.